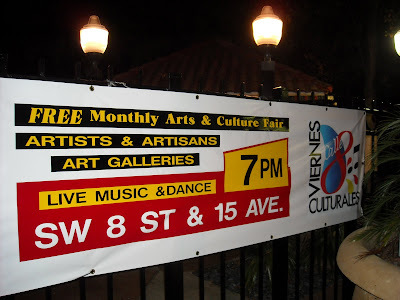 Viernes Culturales/Cultural Fridays is an artistic, cultural, and social arts and culture fair that takes place on the last Friday of each month in the historic Little Havana neighborhood of Miami, FL, in the heart of Calle Ocho (8th St. SW between 14th and 17th Avenues). A powerful venue for talented visual artists and entertainers, the monthly festival offers an opportunity for visitors and tourists to experience an evening of culture with the diverse flavors of our Latino community. 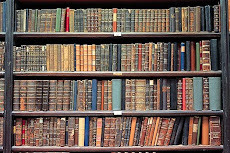 The event consists of outdoor musical performances on a stage and along the sidewalks of Calle Ocho, art exhibits along the sidewalk and in plazas and open spaces, visits to art galleries and cultural centers, cuisine tasting at participating restaurants, and films/art exhibits/ educational programs at the historic Tower Theatre. Free walking tours of Little Havana also take place during the festival.